이터너티 반지는 영원한 사랑을 약속합니다. 이터너티 반지는 편안하게 낄 수 있는 다이아몬드 반지로서 매력적입니다. 착용감 뿐만 아니라 어떤 자리에서도 낄 수 있는 실용성을 모두 갖춘반지로 여성들에게는 가장 쓸모가 많은 반지입니다. 특히 항상 손가락에 끼고 있어야하는 반지인 경우 너무 화려하고 다이아몬드가 높이 솟아있으면 착용감이 떨어지고 너무 심플한 반지는 외출용으로는 아쉬움이 남습니다. 이 모두를 만족시키는 이터너티반지는 특유의 잔잔한 다이아몬드의 광채와 우아함으로 20대부터 60대 연령의 여성들로부터 사랑받는 대표적인 다이아몬드 반지입니다. 이터너티 반지는 링을 따라 셋팅된 다이아몬드처럼 시작과 끝의 구분이 없는 끊임없이 이어지는 사랑을 상징합니다. 커다란 1캐럿 다이아몬드 반지로는 느낄 수 없는 잔잔한 반짝임은 여성들의 마음을 설레이게합니다. 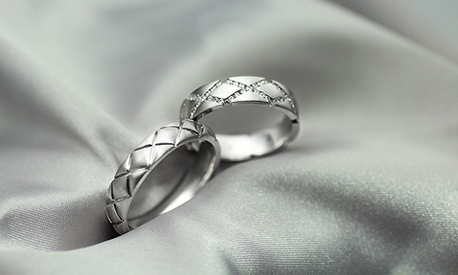 Eternity ring is attractive as a comfortably fitted diamond ring. 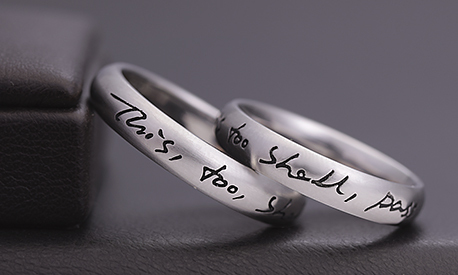 Besides fit, it is a ring with both practicalities fitted with several digits, a woman's almost useless rings. 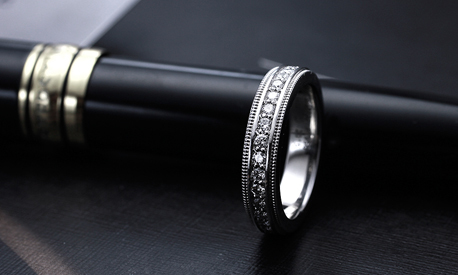 Especially, if it is a ring that must always fit on your fingers, it will not be too flashy, if the diamond tower tower is high, the ring will be too comfortable. Simple rings will remain unsatisfactory for going out. 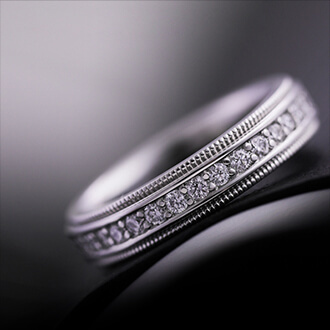 Eternity ring to satisfy all this is a representative diamond ring loved by women of ages 20 to 60 in the gentle diamond shine and elegance that is unique. 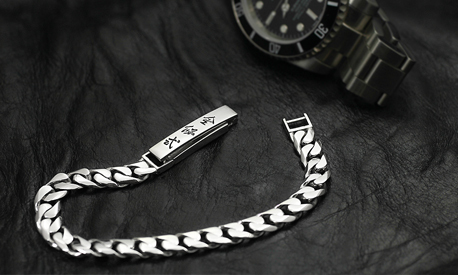 Eternity rings symbolize love that always connects, like a diamond set along a ring, there is no distinction between start and end. 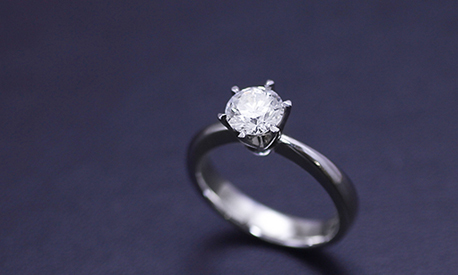 A gentle sparkle that can not be felt with a big one-carat diamond ring pounds the heart of a woman. 최고의 재료를 엄선하여 최고의 장인이 제작합니다. 이터너티 반지에서 가장 중요한 것은 다이아몬드와 셋팅 기술입니다. 셋팅되는 다이아몬드의 품질에 따라 발하는 광채가 달라지며 이와 함께 정교하고 세심한 셋팅이 빛을 극대화 시켜줍니다. 엔조의 이터너티 반지에 셋팅되는 다이아몬드는 최고등급의 스톤만을 사용하여 밝은 다이아몬드의 광채를 그대로 만끽하실 수 있습니다. 선진기술을 30년 넘게 익힌 숙련된 장인의 손끝에서 탄생하는 다이아몬드의 가장 아름다운 광채와 편안한 착용감은 주얼리가 가져야하는 희소성과 완벽한 세공에서 기인하는 명품의 가치를 찾아볼 수 있습니다. 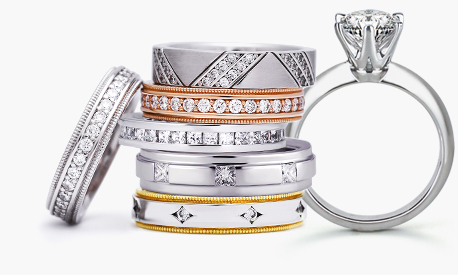 The most important thing in the eternity ring is the diamond and setting technology. Depending on the quality of the diamond being set, the radiance varies, and elaborate and meticulous settings maximize the light. 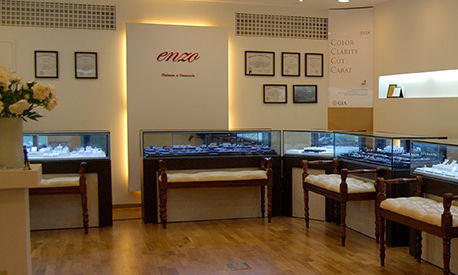 Enzo's eternity ring is set with the highest grade of stone, so you can enjoy the brilliance of a bright diamond. The most beautiful brilliance and comfortable fit of a diamond born from the hands of skilled craftsmen who have mastered advanced technology for more than 30 years can be found in the scarcity of jewelery and the value of luxury goods created by perfect workmanship.